As expected, the stock markets are fluctuating. It is not easy to tell whether the markets have started bear markets yet. However, they are likely to drop one more step. 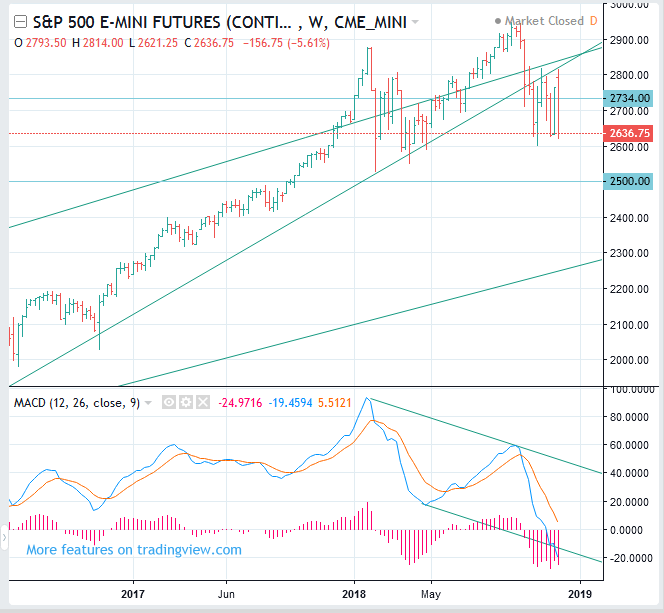 The trading range of the S&P 500 index futures is likely to be between 2500 and 2734. Dow futures are likely to be around 23680 ~ 25370, and Nasdaq 100 futures are likely to be around 6013 ~ 6057. The trading range of EuroStoxx 50 index futures is likely to be between 2490 and 3220. It would be better to do trading from the point of sale.